I promised myself that I would finish organizing the command center before school started. So, last week, determined to make good on my promise, I started pulling everything out of the cabinets that didn’t belong. Great! Now I’m making progress, except that I’m not. Cameras and lights and photos and papers are laying all over my kitchen island, and I still need to make cereal box magazine organizers. So right here before all of you, I’m declaring that I will make those organizers by the end of this week. In the meantime, let me show you what I have accomplished so far. I finally settled on an arrangement for the gallery wall which is centered around a dry erase calendar. Mine is just a weekly calendar, but you can use a monthly version if you prefer. Since this is also the area where we come and go, we have hooks for purses, bags and sweaters. 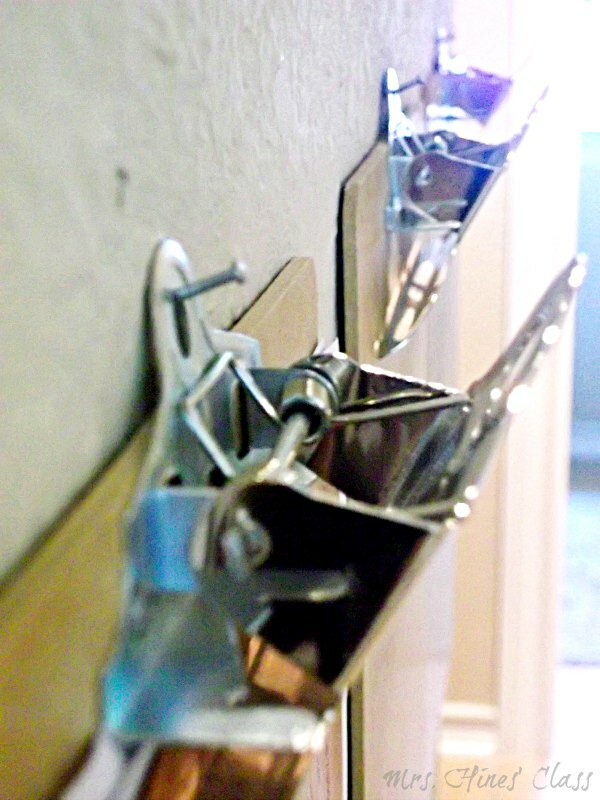 You’ll also notice a cork board and a dry erase board. 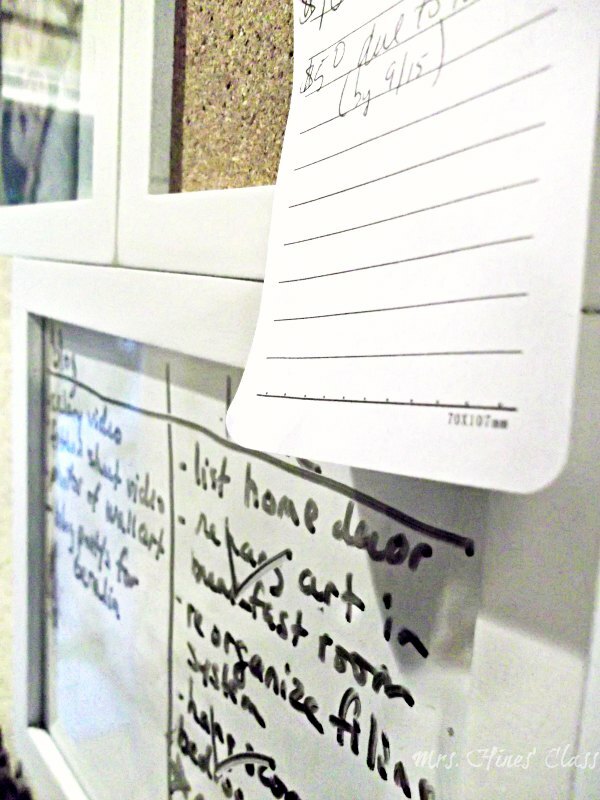 After experimenting a little, I’ve decided to use the dry erase board for memos. The cork board will hold important things like tickets to upcoming events and appointment cards. Family photos and art add a personal touch. 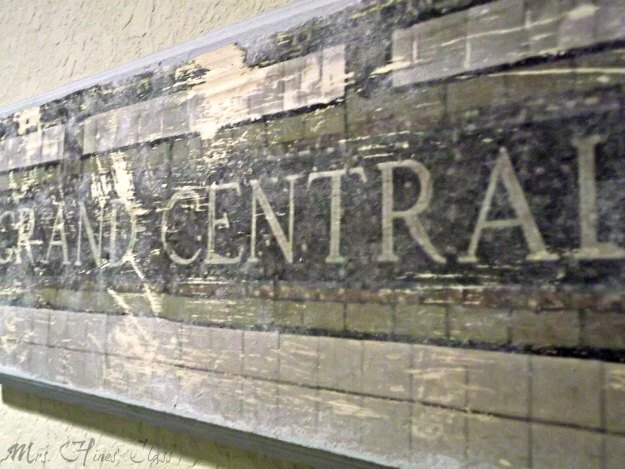 I made the Grand Central plaque last Spring using a photo I took in the NYC subway. A couple of notepads for quick notes, jotting down a phone number, or taking a message. 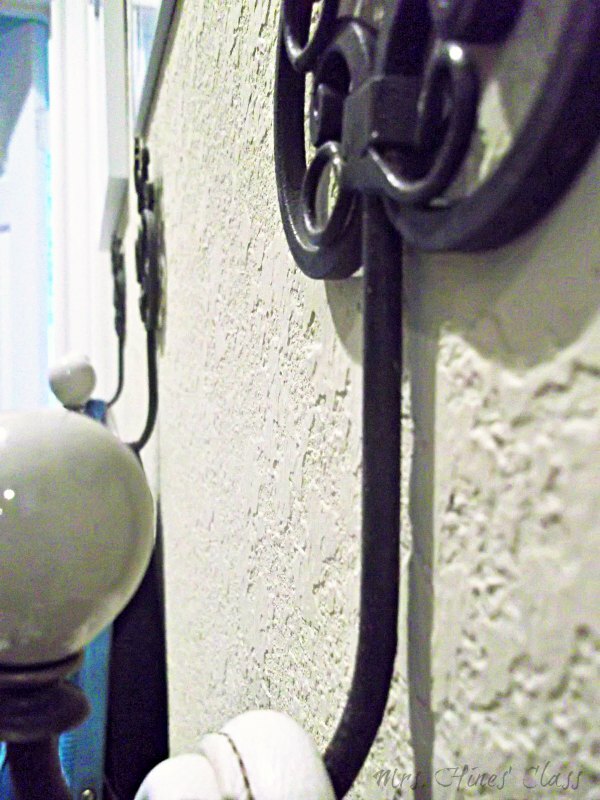 A place to hang our keys conveniently located on the wall that we see as we enter our home. 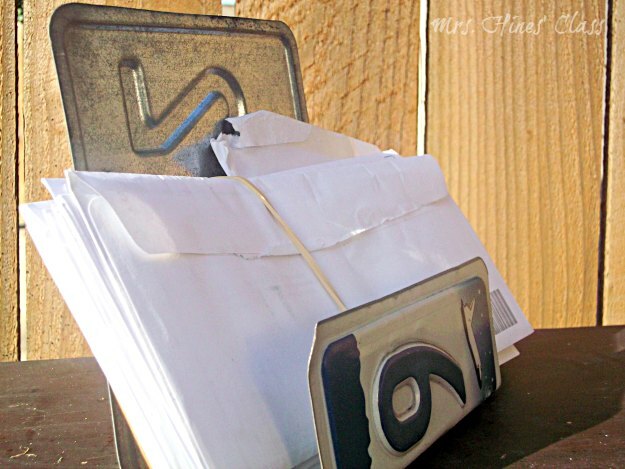 Incoming mail and papers to file have a home in this mail sorter made from a license plate. I recently added clipboards for holding schedules, checklists, and V.I.P.’s (very important papers). I’m adding “create check list” to my list of things to do before the end of the week. This project is very important to me, not only because organization is good for the soul, but because it’s one of several ways that I can help my daughter to manage with ADD/ADHD. I’m sharing several more strategies to help your ADD/ADHD child at Mrs. Hines’ Class today. And when you’re done at Tammy’s, you can come to mine! 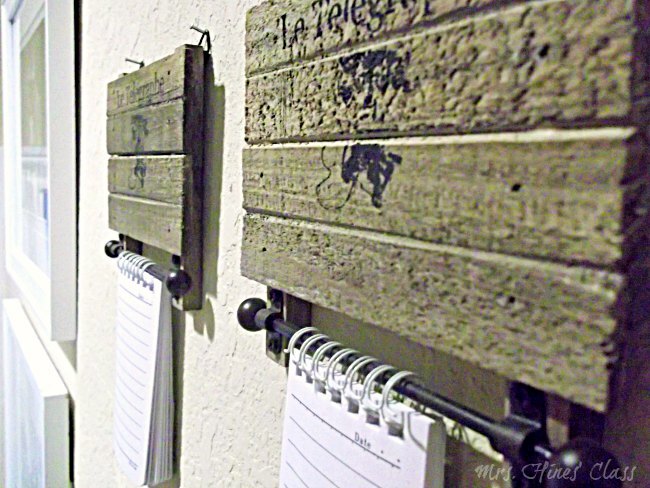 In all seriousness, I love the notepads hanging on the wall, and I LOVE the license plate mail organizer! Thank you, ladies. I seriously consider going into business as a professional organizer almost every day. I just love organization! I’ve always wanted to be one of those people that can just fly by the seat of their pants and be very relaxed about… well, being organised. BUT I’m not that kind of person. I actually have heart palpitations if everything is not organised all neat and orderly. It goes without saying that I LOVE your tips for organising Sharon. Disorganization causes me anxiety, too, Kerryanne. I’m so flattered that you love my tips….thank you! Brilliant Sharon! Love this idea! 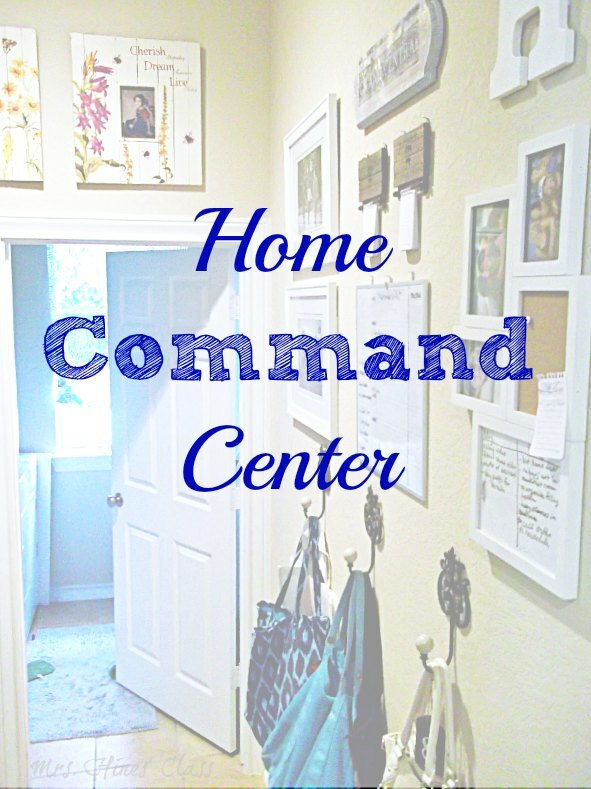 I love your command center! So great! 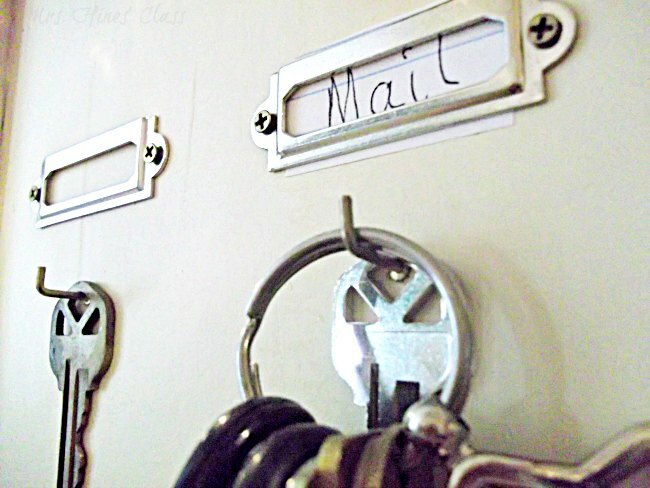 I never thought to use a license plate as my mail sorter, that is such an inspiring idea. Where did you get the note pad holders, or did you make them? I love everything about it. Thanks for sharing it!! !